Our Senior Pastor is The Reverend Dr. Keith C. Alderman. Keith was born in Bristol, Connecticut, and grew up in Farmington, Connecticut. He is a graduate of Hartford State Technical College and Central Connecticut State University. He received a Master of Divinity Degree from Bangor Theological Seminary, and a Doctor of Divinity Degree from Colgate Rochester Divinity School in Rochester, New York. He is married to Penny Alderman. At the time of his ordination to the Ministry of Word and Sacrament in the United Church of Christ in 1992, Keith was serving the Lakemont Congregational Church, UCC in Lakemont, New York and the Rock Stream Presbyterian Church in Rock Stream, New York. 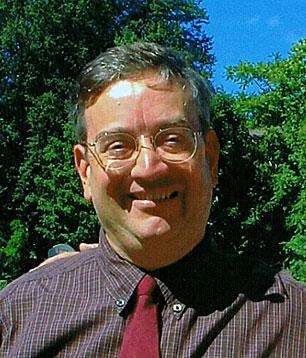 He then served St. Luke’s United Church of Christ in Auburn, New York before being called to serve Pilgrim Congregational Church, United Church of Christ in Leominster, Massachusetts in 2004. Keith belongs to the Committee on Authorized Ministry of the Central Association of the Massachusetts Conference of the United Church of Christ. He is also a member of Confessing Christ, a center of serious and joyful reflection in the UCC, as well as the Leominster Interfaith Clergy Association. 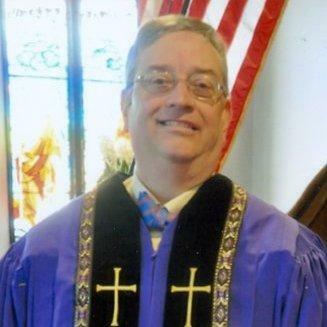 Keith has also been the chair of the Spiritual Life Committee in the Genesee Valley Association of the New York Conference of the UCC, and is a Grand Chaplain for the Grand Lodge of Masons in Massachusetts. Keith has published material about Jungian Psychology and has written for the Grand Lodge of Massachusetts.